Especially positive for Greece is the first phase of the Single Project 20/2016 call for the Development of Single Productive Project, as two Greek production companies have been qualified for funding. Three Greek production companies applied for funding. There were 302 submissions in total, from which 57 were successful. In the final results, 20 countries - members of the Program are represented, from the 33 that participate. Among the chosen films, we can find many award-winning directors, as Grimur Hakonarson (the winner of “Un Certain Regard” Award in Cannes 2015) and Radu Muntean, with his new drama, “Alice T”. The two aforementioned qualifications elevate the total percentage of success for Greece to 67%, a very important fact, considering that the call for Development of Single Productive Project continues to be very competitive, with 18,87% success percentage on total applications. The Creative Europe MEDIA Desk and the Greek Film Centre congratulate all three Greek production companies that applied, as well as all the winners of the Program. 10th annual London Greek Film Festival 2017 (14-20 May). Call for Film and Script Submissions. 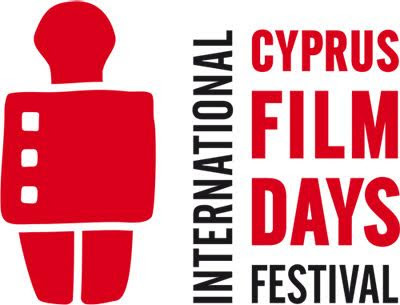 Submit your film to Cyprus Film Days! The Festival aims not only to broaden its appeal within its own borders, but also to attract both industry and audiences from abroad by becoming a cinematic meeting point for the three continents surrounding Cyprus. The international competition section “Glocal Images” welcomes films that voice the diversity of local cultures and contribute innovative representations of subject matters that can be addressed to an international audience. The Artistic Committee of the Festival decided that, apart from the International Competition, a Cypriot Films Competition Section will be incorporated. The participation of Cypriot feature films in the Festival is subject to Rules and Regulations, and films must fulfill the relevant criteria so as to be eligible for selection. - Best Cypriot Director Award: This award is accompanied by DCP Mastering – Deliverables - Subtitles services (€3,500 euros), sponsored by Authorwave. The selection of films in competition is undertaken by a three member Artistic Committee; Dr Costas Constantinides (Film Scholar), Tonia Mishiali (Director – Producer) and Marios Stylianou (Director – Producer). This year’s festival will take place from the 27th of April to the 6th of May 2017, in Limassol and Nicosia, as per previous years. Interested parties are invited to submit their films by Wednesday 15 February 2017. Sarajevo Film Festival & CineLink Industry Days are proud to announce the first call for entries for CineLink Co-production Market 2017. The deadline for submitting your project is January 20, 2017. The European Foreign Affairs Council decided June 14 not to include audiovisual services in the mandate for the EU-US negotiations on the coming Transatlantic Trade and Investment Partnership (TTIP). Effective immediately and until October 23, 2013, experienced producers from all over the world may submit new feature film projects that are suitable for international co-production and have 30% of their financing already in place to the Berlinale Co-Production Market 2014. Scripts based on real stories, a Warhol poster in the background of a scene, and a protagonist humming a Robbie Williams song - not all third party content contained in a script or a film is that obvious. Only a detailed analysis can avoid cost-intensive pitfalls. Rights clearance is becoming increasingly important, both nationally and internationally. This seminar which will be held from April 9th – 13th, 2014 on Mallorca offers unique access to the know-how and experience of specialists from companies such as HBO, NBC Universal, Red Bull, Sony, and Zentropa and international practitioners from renowned law firms. Case studies include: TV formats, documentaries, independent European feature films as well as Hollywood movies – from MONUMENTS MEN to THE BOURNE SUPREMACY, as well as THE KING’S SPEECH, BORAT, and ITALIAN FOR BEGINNERS. - Locations – more than just a shooting permit? For more information please visit www.epi-media.eu. The European Film Academy's Master Class this year will focus on animation. Held by Andreas Hykade (www.hykade.de) the EFA Master Class 2013 ANIMATION TODAY is dedicated to modern animation. During one week (9 - 15 September), participants will form a team and create an animation film from the original idea to the completed film. Participants can come from any field, be it independent animation, games or commercial animation. They can work in various techniques, be it 2 D, 3 D, puppets or pixilation. In a mixture of group sessions, screenings, case studies and lectures, but with a focus on hands-on exercises, the workshop will allow the participants to gain a profound knowledge of the creation of an animation film covering all stadiums of a classic animation production: idea, story, design, project bible, storyboard, animatic, layout, animation, scoring and exploitation. Held by author, designer and director Andreas Hykade, the workshop will be accompanied by different renowned animation filmmakers who will share their individual approach to the respective “topic of the day”. Andreas Hykade has been creating animation films since the mid-90s. Among his films are WE LIVED IN GRASS (1996, German Short Film Award), RING OF FIRE (2000), THE RUNT (2007, German Short Film Award, FIPRESCI Award Annecy), TOM & THE SLICE OF BREAD WITH STRAWBERRY JAM & HONEY (2009, Grimme Online Award) and LOVE & THEFT (2010, German Short Film Award, Sacem Award for original music, Annecy 2011). Supported by the MEDIA Programme of the EU and the MFG Filmförderung Baden-Württemberg, the EFA Master Class will take place in Ludwigsburg in the South of Germany at the Filmakademie Baden-Wuerttemberg’s Institute of Animation, Visual Effects, and Digital Postproduction. Celebrating its tenth anniversary in 2013, Talent Lab is an intensive multi-day artistic development programme that provides emerging talent with an unparalleled opportunity to learn from the world's best film artists. Using the Festival's outstanding relationships with acclaimed filmmakers, Talent Lab leads participants in group discussions on a range of topics focused on the artistic side of filmmaking, ultimately sharpening the skills and confidence of a new generation of filmmakers. Talent Lab Artistic Governors have included Olivier Assayas, Jennifer Baichwal, Danny Boyle, John Collee, Lee Daniels, Miranda July, Don McKellar, Deepa Mehta, Michael Ondaatje, the late Bingham Ray, Jason Reitman, Gus Van Sant, Stephen Woolley and Edgar Wright. Selected participants benefit from the guidance of the Governors and from the experience of Talent Lab Guests. Talent Lab Guests have included directors Edward Burns, Jane Campion, Laurent Cantet, David Cronenberg, Jean-Pierre and Luc Dardenne, Brian DePalma, Atom Egoyan, Stephen Frears, Terry Gilliam, Davis Guggenheim, Paul Haggis, Michael Haneke, Neil Jordan, Nadine Labaki, Kim Longinotto, Guy Maddin, Steve McQueen, Fernando Meirelles, Mike Mills, Gaspar Noé, Sarah Polley, Nicolas Winding Refn, John Sayles, Frederick Wiseman and Michael Winterbottom; and producers Ted Hope, Aamir Khan, Robert Lantos, James Schamus, Tilda Swinton and Christine Vachon. The 2013 Talent Lab takes place during the first half of the Toronto International Film Festival, which runs from September 5th to 15th. Cyprus Film Days 2013 is ready to kick off with an outstanding programme for yet another year, starting with its official opening this Friday, 19th April 2013 with simultaneous screenings in Limassol and in Nicosia. The Festival will premiere with the screening of the Cypriot film, 'Block 12', by Kyriacos Tofarides, which will have its world premiere at the Rialto Theatre. The film delivers a unique viewpoint on the issue of the natural resources of Cyprus, a family drama set against the background a country on the verge of an escalating economic crisis. Meanwhile, the film 'Βeasts of the Southern Wild', which was nominated for 4 Academy Awards, will be screened at Zena Palace Cinema in Nicosia. Benh Zeitlin's directorial debut won the Grand Jury Prize at Sundance Film Festival 2012 and the Golden Camera at Cannes Film Festival the same year. Both screenings will start at 8p.m., while in Limassol, at 7.30p.m., the Limassol Municipal Philarmonic Orchestra will mark the official opening of the Festival with music soundtracks from the Greek and world cinema, conducted by Thanassis Athanassiou. An opening party will follow the screening in Limassol, with the band Wanderlust performing exclusive music tracks with indie/ alternative sounds, and remixes from favourite groups (Cure, Coldplay, Puressense and more) at Art Studio 55. The full, detailed programme of the festival is available at www.cyprusfilmdays.org For more info and for the detailed screenings' programme please call 77 77 77 45 and 77 77 25 52, or find us on Facebook. -All films will be screened in their original language, and will be subtitled both in greek and in english. This email contains graphics, if you don't see them view it in your browser. Athens Video Art Festival 2013 attempts to activate both visually and creatively a journey in one of the most debatable and charged city areas, by making the best of the diversity, the versatility and the colour of the city. From Theatre Square and the much awaited Romantzo to Kotzia Square and the neo-classical CAMP, street screenings, artistic interventions and collaborations will be setting the tone of a throbbing and ever evolving community of artists. Nine years ago, Athens Video Art Festival initiated a broadly creative dialogue with Academic Institutions, Organizations, International Festivals and internationally acclaimed artists. Its aim was to create an international meeting platform that would bring out current trends in contemporary digital art. As in previous years, the main categories will be accompanied with art acts, presentations and workshops. Athens Video Art Festival invites all contemporary artists to find inspiration in the urban environment and the inexhaustible potential of new media, experimenting and freeing themselves from all stereotypes. Artists may send/ submit their work to any of the categories below. Closing date for applications to participate in the 9th edition of Athens Video Art Festival: 28th March 2013 (date of postmark). Proposals may be submitted via internet or post. The New GFC Rules and Regulations for Funding Programs will become effective on the 1st of February 2013. They have evolved from the previous Funding Programs Regulations and invalidate any and all such previous terms and conditions in their entirety. The GFC has drawn up these regulations in response to the current financial conditions prevailing in our country as well as to the multifaceted needs of film production and taking into consideration the views of the film industry.